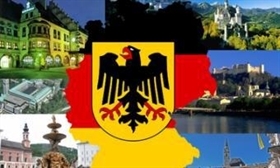 Mariana Cholakova is appointed to be Honorary Consul of Germany in Plovdiv. The inauguration ceremony will be held in Plovdiv by the German Ambassador to Bulgaria, Matthias Hoepfner. Ms Cholakova's job will be to take care of the rights and interests of German citizens living in our country and cooperate for the development of better German-Bulgarian economic relations on the territory of Southern Bulgaria.